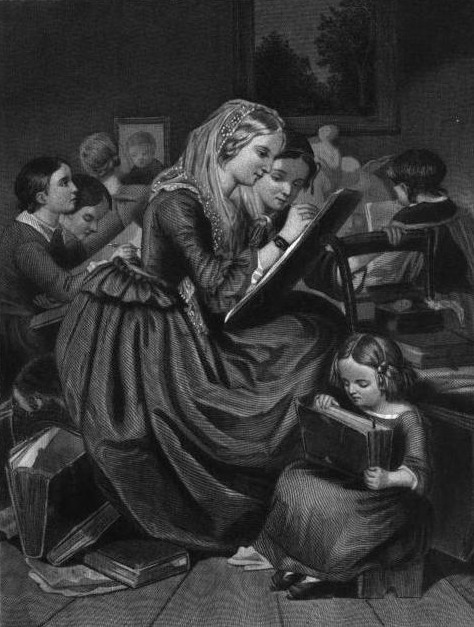 A young girl learns how to draw in this vintage black and white image. With other students in the background and a younger child in the foreground, this card-sized image would make a great addition to any art project. This vintage illustration is from The Lady’s Home Magazine Volume XV, a magazine published in 1860. It was edited by T.S. Arthur and Miss Virginia F. Townsend. They did not identify the illustrator(s) for their publication.